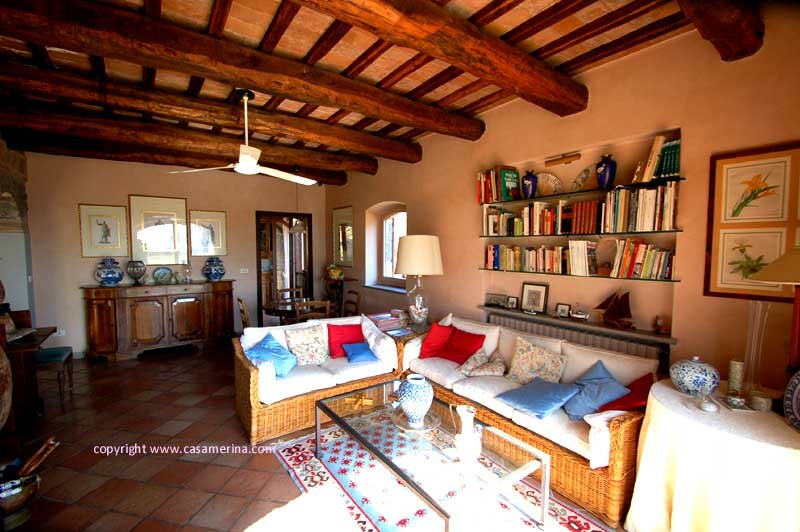 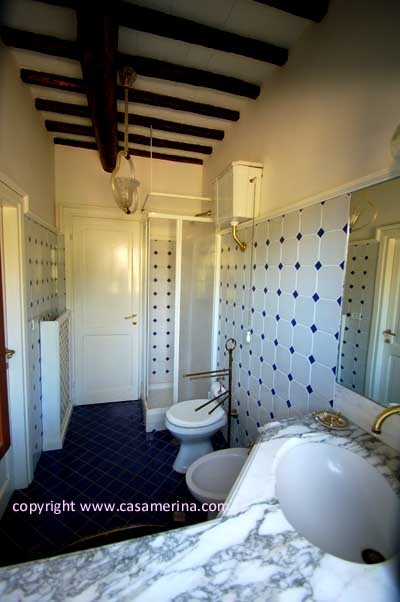 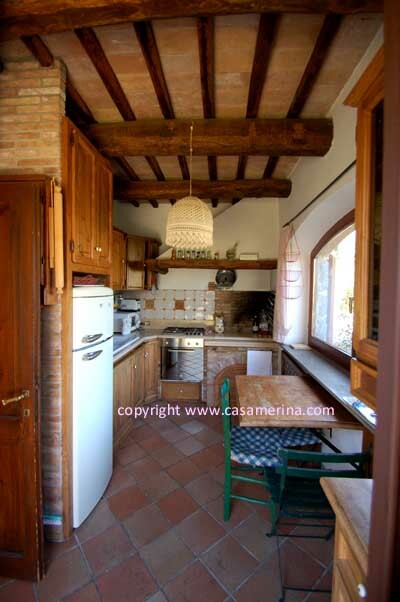 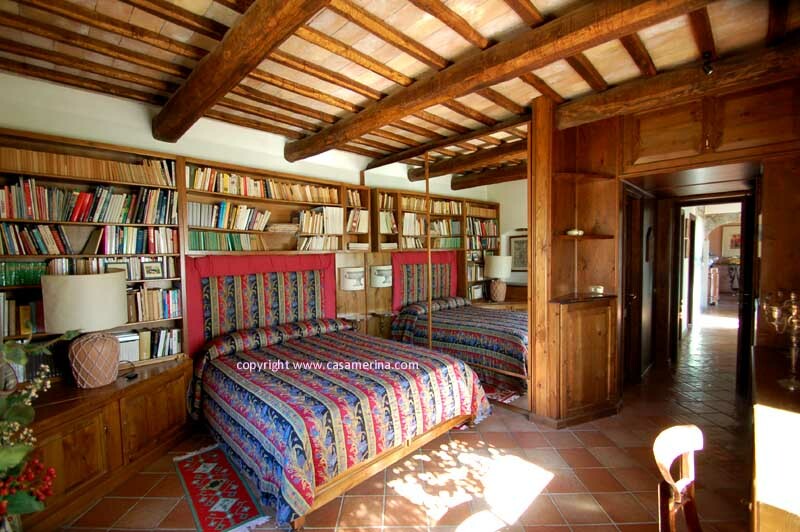 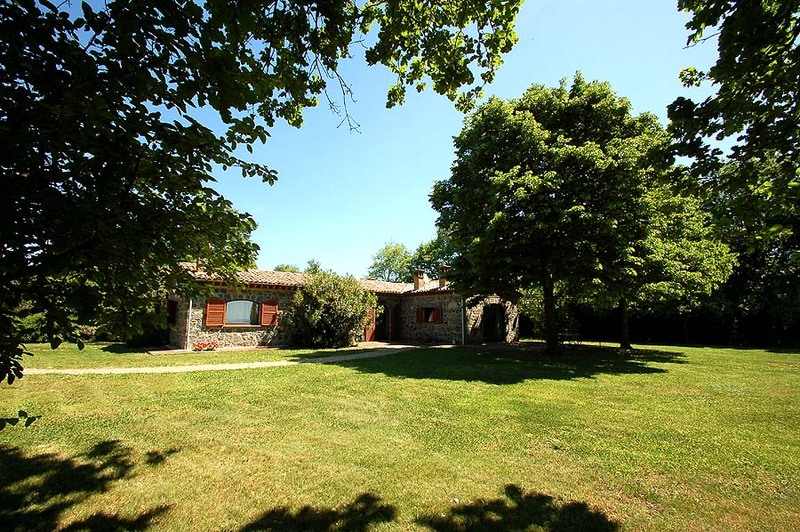 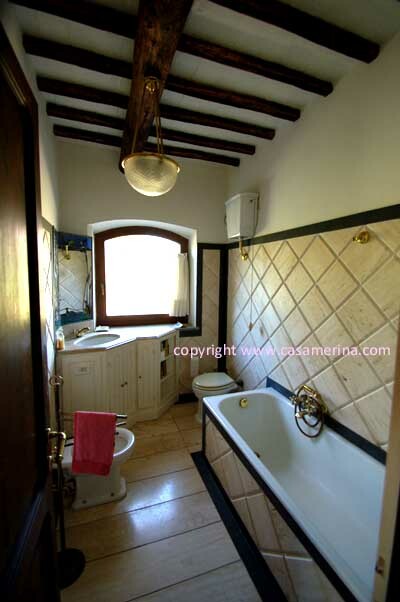 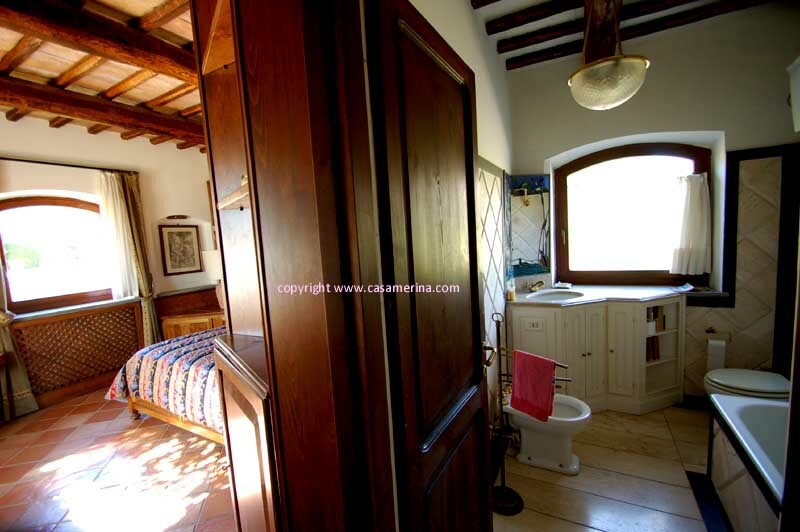 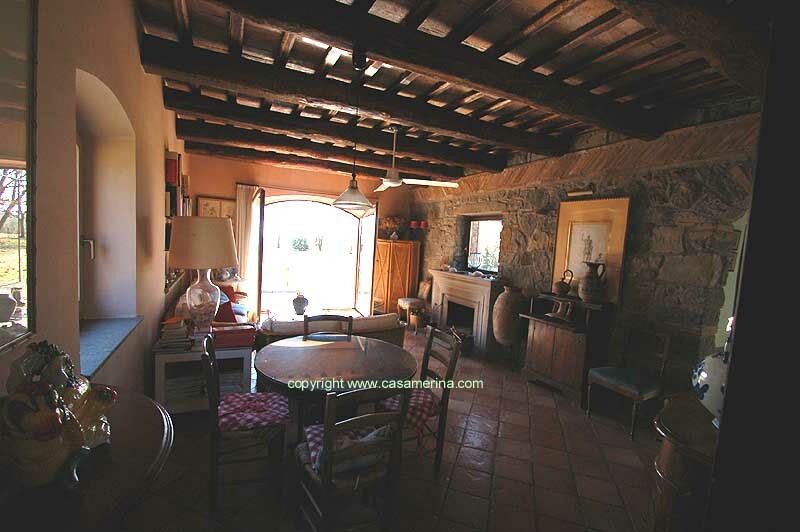 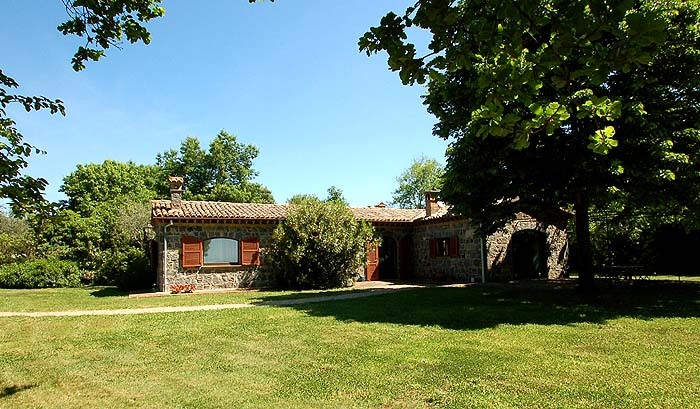 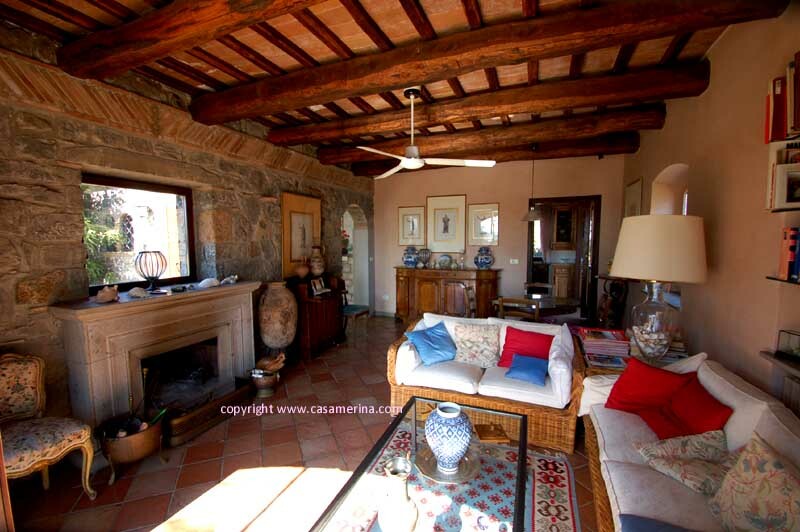 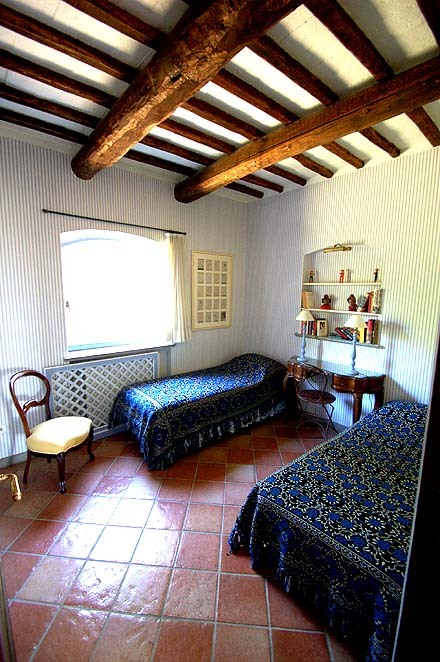 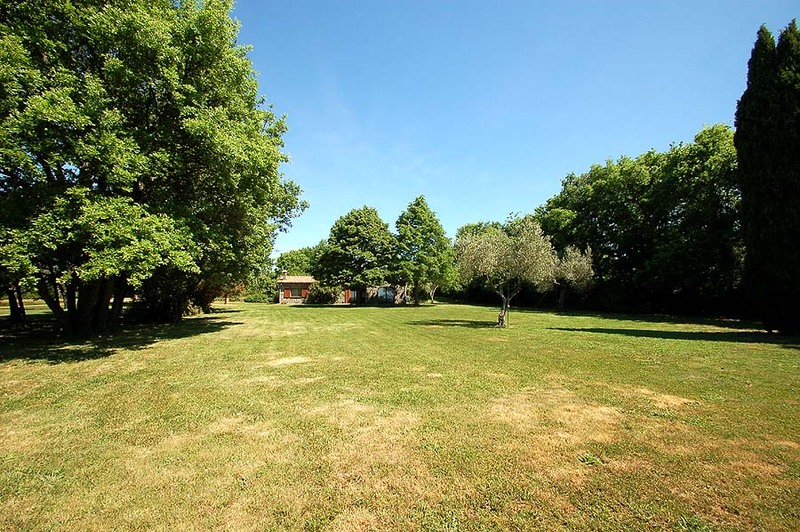 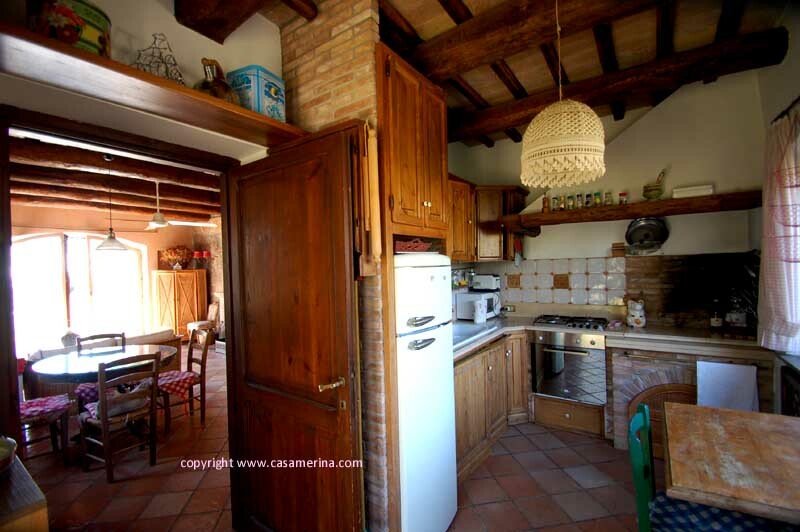 This alonestanding house lies in a quiet area, around 2 kms from lake of Bolsena. 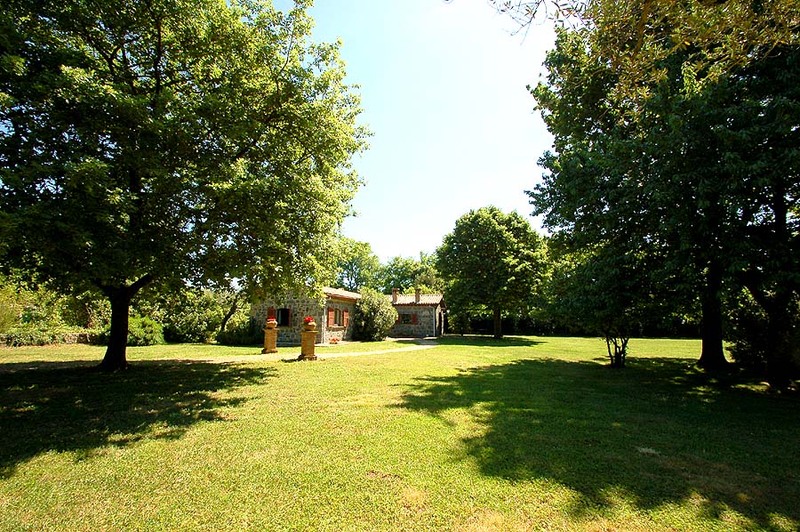 It is part of a large property of 10.000 sqm (fully fenced) with many oaks & olives. A public (sand) beach is available around 2 Kms from the house, you will find also 2 restaurants on site. 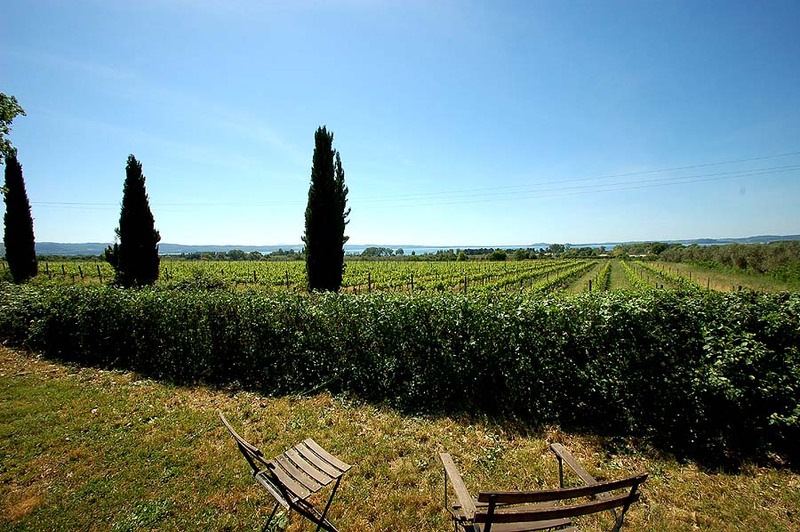 All necessary shops are in the towns of San Lorenzo Nuovo and Bolsena, 7 and 4 Kms far away. 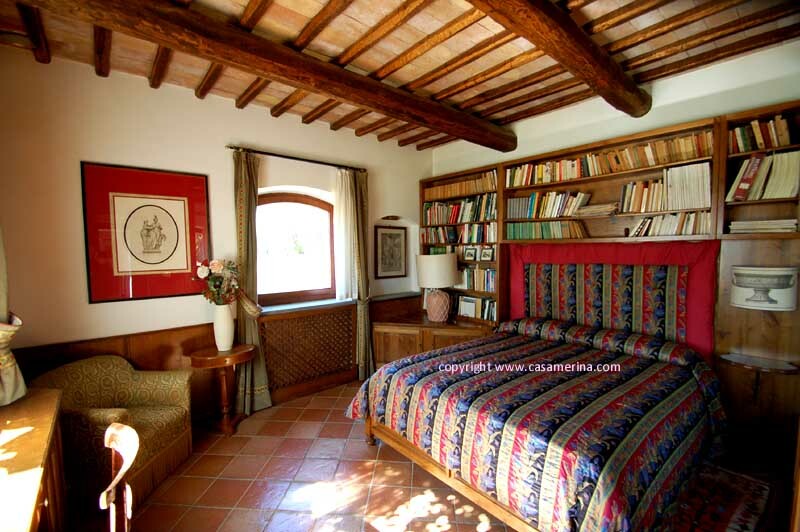 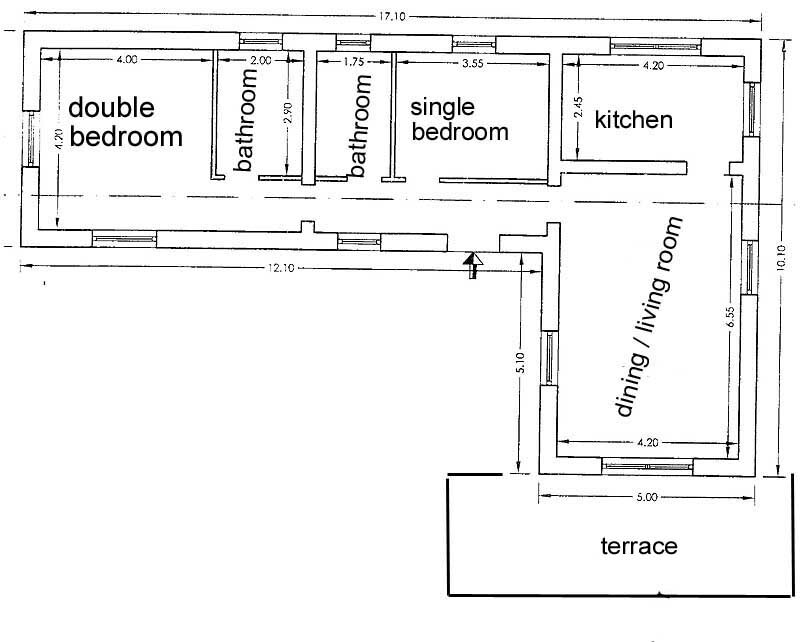 The house is suitable for max 4 persons + a baby (cot available on request). 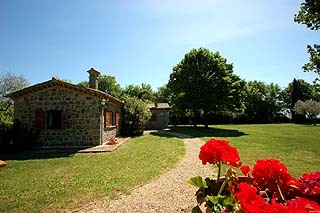 From the garden you have a panoramic view on the lake. 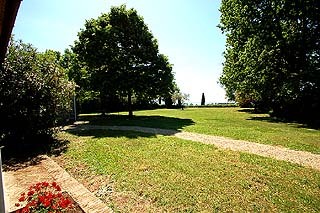 The terrace in front of the house is equipped with table and chairs to eat outdoor (under the schadow of the trees). 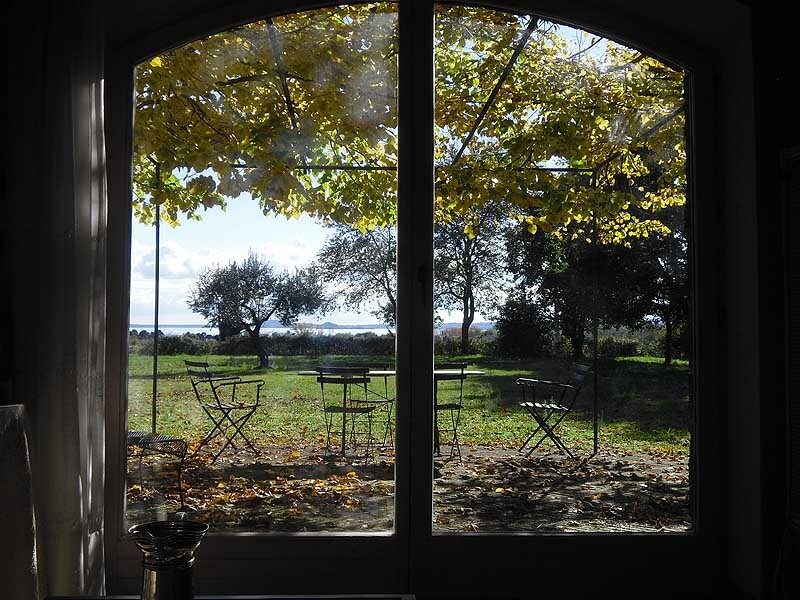 From the living room and terrace in the distance you can also see the lake.